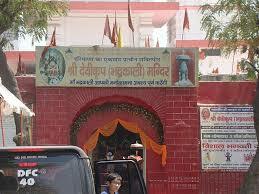 Here is Some Information about Devi Koop Temple(Bhadrakali Shakti Pith Kurukshetr )in Thanesar Haryana India. 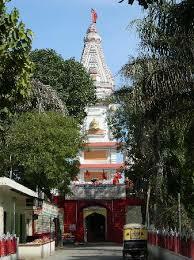 The Devi Koop Temple(Bhadrakali Shakti Pith Kurukshetra) is located in Thanesar town, Kurukshetra, Haryana.The temple is dedicated to Goddesh Bhadrakali.`Devikoop Bhadrakali temple is one of the 52 Shaktipeeth of divine mother. This shaktipeeth temple is devoted to Mother Bhadrakali (One of the eight formsof kali).This Shaktipeeth is near Dwaipayan Sarovar in Kurukshetra, Haryana.. Here the right ankle of Mother Sati fell here.which is now in the form of a well(Koop) here .The Shakti of this place is Savitri and Bhairav is Sthanu. The importance of this place may also be found in Tantra Churramani. It is said that this is the that holy place where Lord ShriKrishana offered worship of mother Kali for Pandavaas win in battle of Mahabharta and pledged if Pandavas will win ,then he I(ShriKrishana) will offer the horses of his Rath as a mark of respect to Mother Bhadrakali . Since that time there is a tradition of offering horses(Gold,Silver,Clay) at this place. Here the devotees present a pair of horses after their wishes get fulfilled as amark of respect to mother Bhadrakali.. According to an ancient legent the Mundan ceremony (first hair cut) of Lord Shri Krishna and Balram was performed at this place. There is an astonishing idol of Bhadrakali in this temple. South facing Hanuman, Ganesh and Bhairav are present here as attendants. 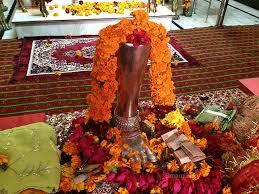 There is also an amazing Shivlinga of Lord Shiva in which head, ordination and snake is imprinted naturally. It said that first Sthanu Shiva should be visited and then only Bhadrakali should be visited. 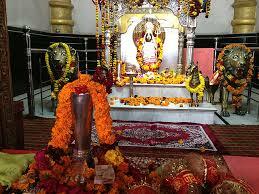 Devi Koop Temple(Bhadrakali Shakti Pith Kurukshetra) has great importance since ancient times. It is said, Arjun, Lord Krishna and other pandavas prayed to Maa Kali for their victory in the Mahabharata Yudh. 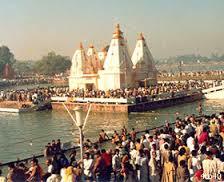 It is said that, when they won the Yudh, they came back here again and offered all their horses to Maa Kali. Since from that day, offering terracotta and Metal horses is considered auspicious here. History to this place dates back in the time when it is said that the right ankle fell of Maa Sati fell to this place. 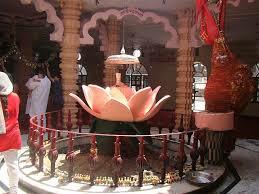 Best information about the origin and the formation of this temple, people can be taken from with local people. Religious books, Purans etc are worth trying to find out the history about the Shakti Peeth. Makar Sankranti, Sharad Purnima, Deepawali, Somvati Amavasya, Ram Navami ,Navratri. By Road : There are many public and private vehecals available to reach Devi Koop Temple(Bhadrakali Shakti Pith Kurukshetra) . By Train : The Nearest Railway StationKurukshetra station Railway station. By Air : The Nearest Air Port: Delhi and Chandigarh Airport.